We are a fitness family, so we invite you and your family to participate in our range of choices. 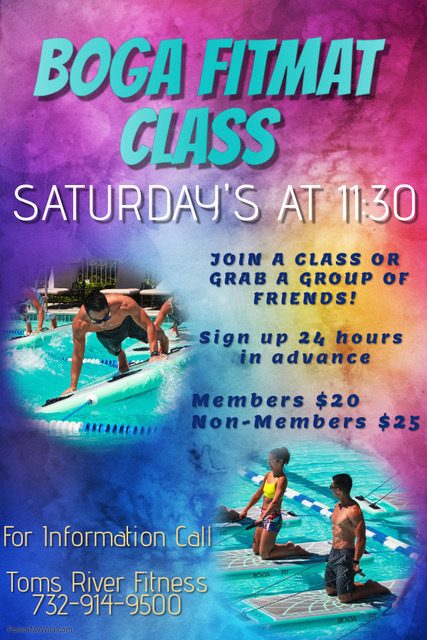 There are so many options to choose from…whether you are enjoying one of our many Aqua Classes offered each week or participating in our Swim School programs, there is always a place in the pool for yourself, family and friends! Whether you are 6 months old, a beginner, advanced or a triathlete, TRF & AC can accommodate your needs. We offer private and group lessons, clinics, recreational swims, family/kid’s club swims, sport specific in-water training. Students of our swim school not only learn, we give them the opportunity to practice their skills during our “family swim” times. Your precious ones will advance and stay safe with us while learning and having fun! NEW AT TOMS RIVER FITNESS…SCHEDULE YOUR SESSION NOW!